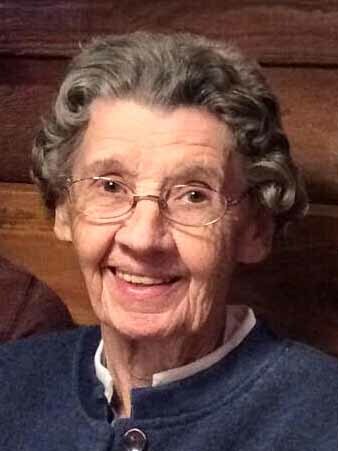 Rogersville: Peggy Lawson Byrd, age 81, of Rogersville, passed away Monday, February 11, 2019 at her residence. She was a member of Rogersville First Christian Church. Peggy was the youngest of eight children. She was preceded in death by her husband, Lloyd Edward Byrd and parents, James H. and Emma Bass Lawson. Survivors include daughter, Lisa Johnson and husband Gary of Rogersville; son, Jerry E. Byrd and wife, Diane of Knoxville; seven grandchildren, Matia Messemer and husband, Christian, Katie Grooms and husband, Luke, Megan Stasney and husband Eric, Jennifer Byrd and fiance' Matthew Wallace, Deanna Ballenger and husband, Austin, Tabitha Hensley and husband, Ronnie and Matt Johnson; six great grandchildren, Anna and A. J. Messemer, Makenna and Colt Grooms, Hunter Stasney and Bransen Ballenger; sister, Martha Lane. Visitation will be 4:00 P.M. to 6:00 P.M. Saturday, February 16, 2019 at Broome Funeral Home, Rogersville. Funeral service will be conducted at 6:00 P.M. Saturday, February 16, 2019 in the funeral home chapel with Minister Steve Newhouse officiating. Graveside service will be 2:00 P.M. Sunday, February 17, 2019 at McKinney Cemetery. Broome Funeral Home, Rogersville is honored to serve the Byrd family.